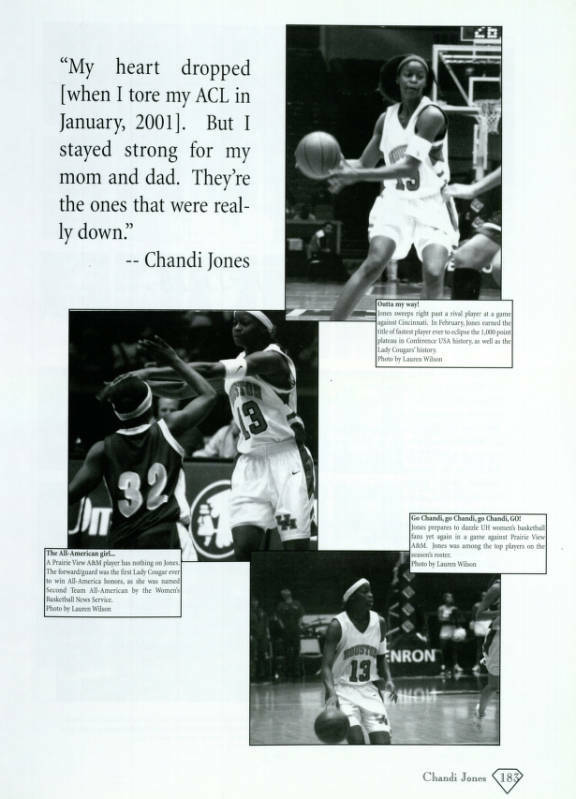 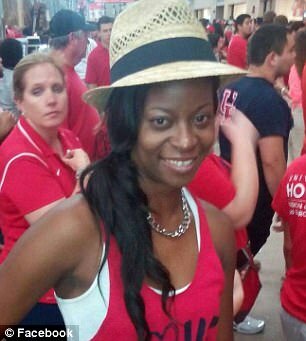 Chandi Jones is the greatest female athlete in UH history. 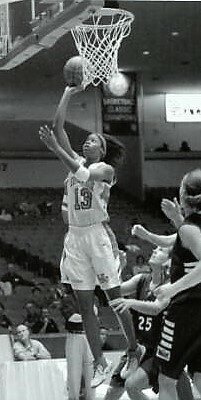 Chandi was named C-USA’s all-sports Female Athlete of the Decade. 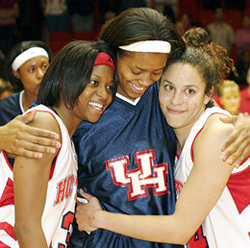 Along with teammates Nicole Oliver and Sancho Little, Chandi led the Lady Coogs to their first-ever conference title, their first ever tournament title, their highest seed in NCAA history, the first-ever NCAA Tournament win, and a final 28-4 record. 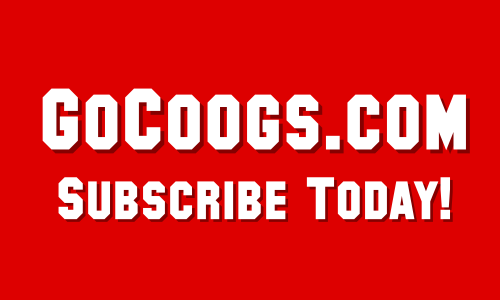 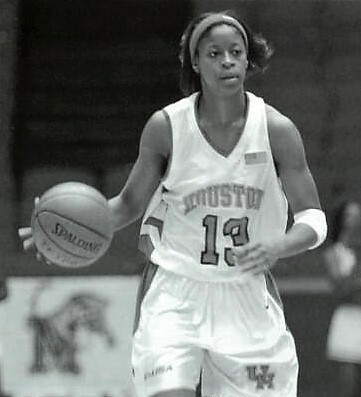 Chandi finished her career as the Lady Coogs’ all-time leading scorer with 2,692 points and ranks behind only Elvin Hayes (2,884) and Otis Birdsong (2,832) for most points in school history. 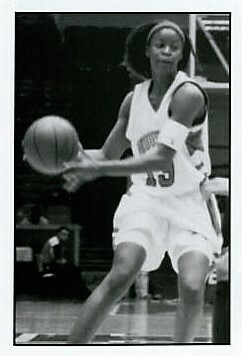 She scored the bulk of those points after tearing her ACL during her freshman season. 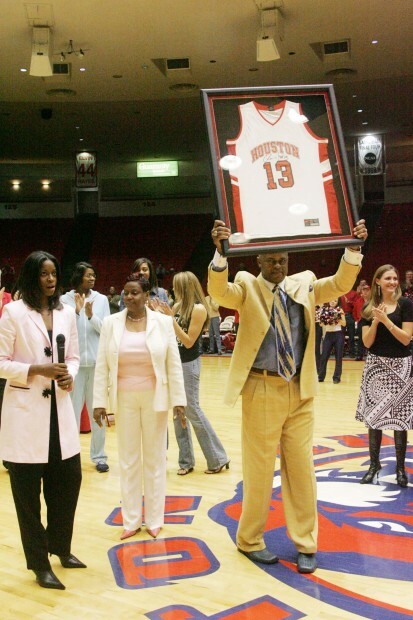 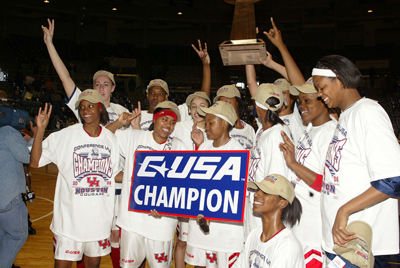 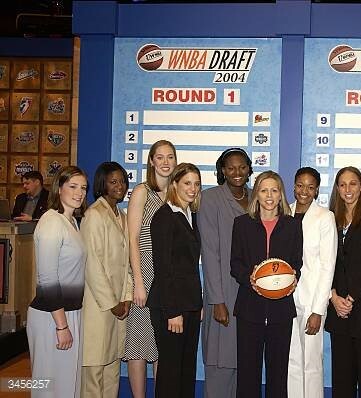 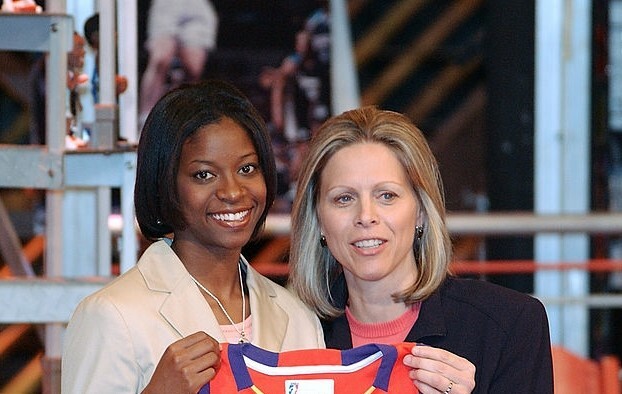 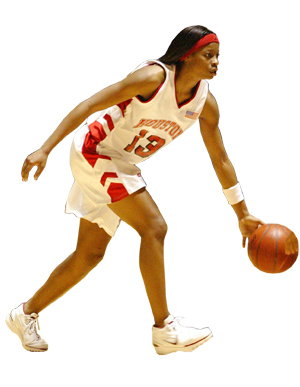 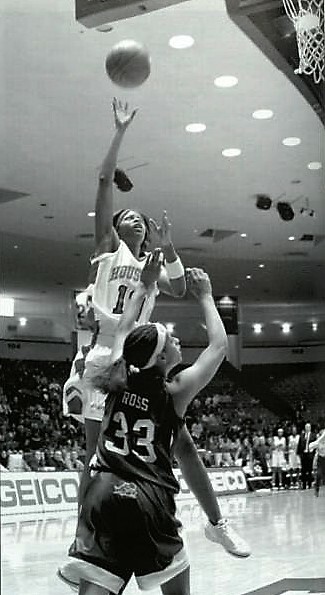 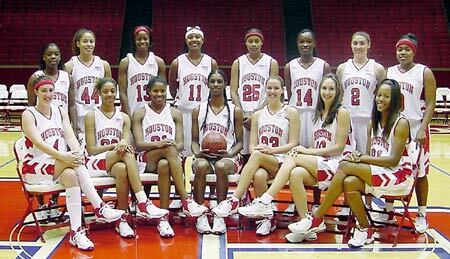 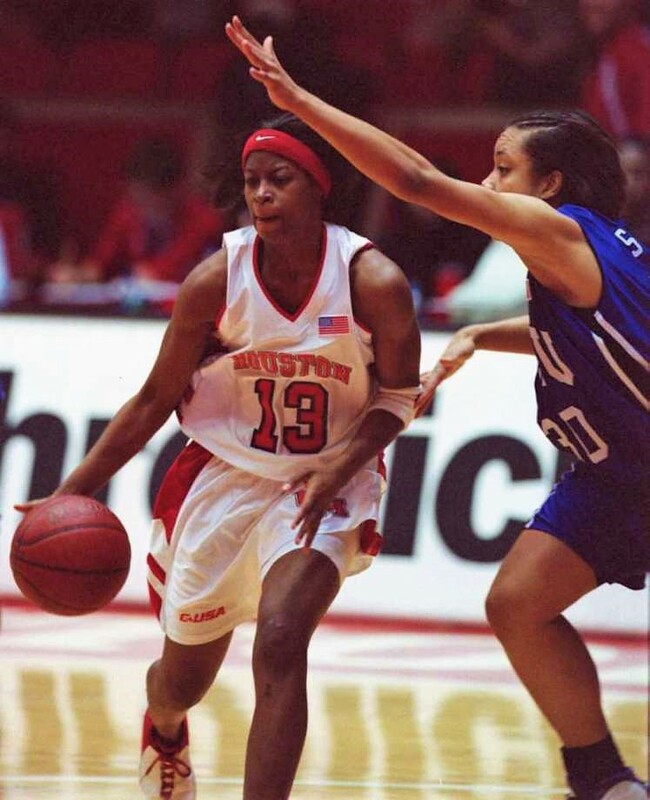 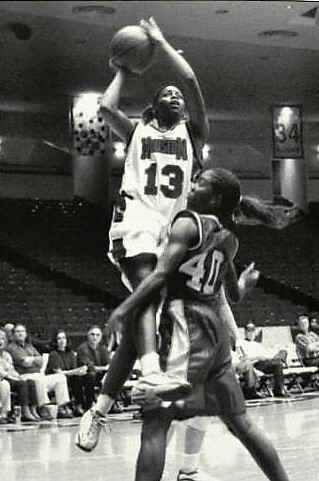 On Feb. 5, 2005, Jones had her number 13 retired, another first for a Houston women’s basketball player. 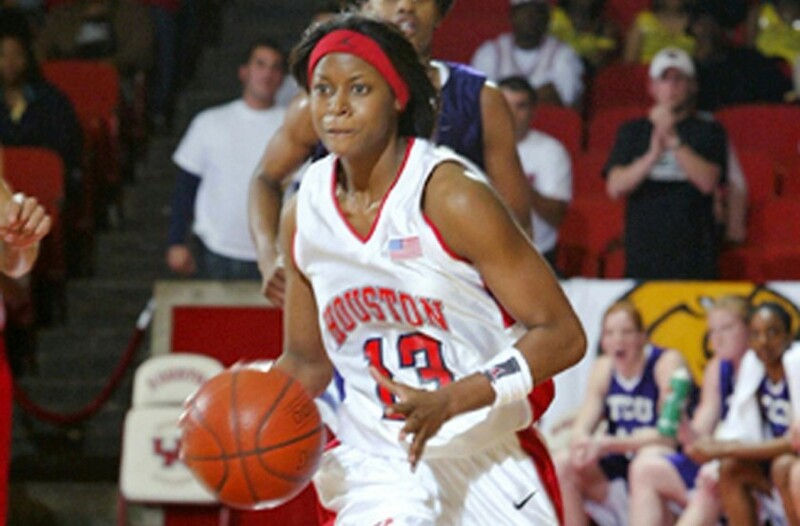 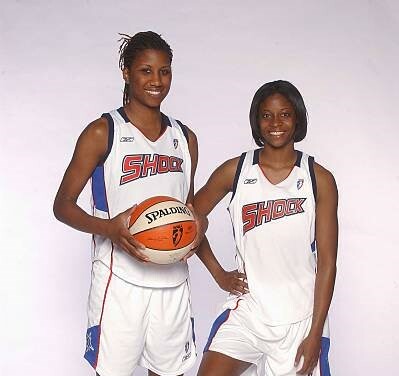 She was inducted into the Houston Athletics Hall of Honor on Nov. 4, 2010.